In summary, we believe that an environmental policy should, at least, incorporate business strategies that attend, where reasonably possible, to the needs of the immediate environment and, at best, if these produce flow-on benefits to the greater environment, we will view these as extremely welcomed and valued bonuses. Although the Muri Beach Club Hotel will always strive to play it’s part on a day to basis in terms of embracing eco-friendly business practice, it has also, perhaps more importantly, clearly identified the need to actively support certain non-profit organisations that, apart from possessing the skills to make the difference from an environmental perspective, are also experiencing severe limitations in terms of achieving their ultimate goals - due to a lack of funding. We have decided to address this urgent need for funding by creating, as well as financially supporting, various fund-raising initiatives and events at the hotel. In addition to this, we go out of our way to raise awareness amongst our guests as to the important environmental projects these organisations are working on. br /> This is headed by Nan Daechler Hauser, in her capacity as President and Director. 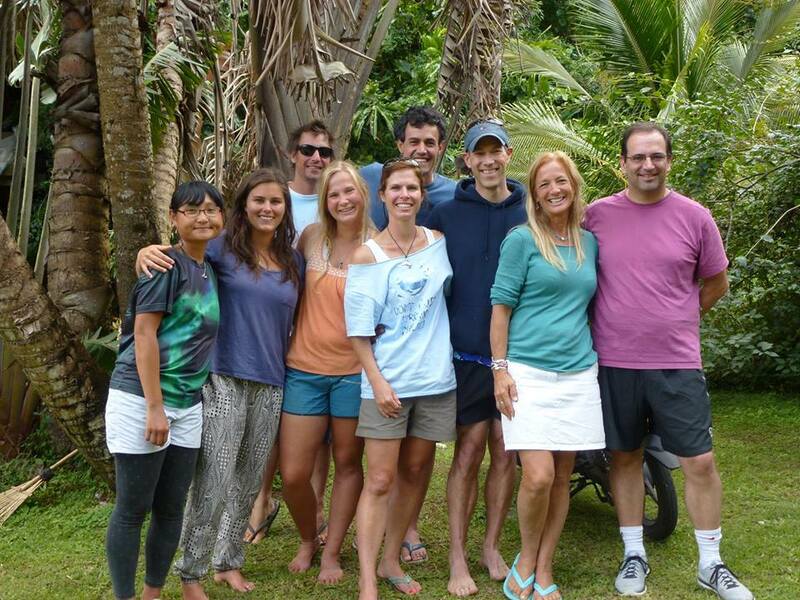 Nan currently lives in Rarotonga, and is also the Principal Investigator of the Cook Islands Whale Research Project. Research has identified that whales not only migrate to the Cook Islands to breed and give birth, but also that the enormous Pacific ocean area controlled by the Cook Islands, houses vital migration pathways for other groups of whales travelling across the Pacific Ocean en route to their feeding grounds. To obtain additional and supportive scientific evidence of this natural phenomenon, Nan and her associates have initiated a whale-tagging programme which is predominantly carried out just off the shores of Rarotonga, between the months of July and October of each year. The Centre for Cetacean Research desperately needs to be able to purchase a regular supply of these tags to continue the programme – each of which cost circa US$2,500!! To assist with this challenge, the Muri Beach Club Hotel raises funds for the purchase of these tags through the on-going sale of local crafts, donating accommodation upgrade rewards that are presented to major tag donors and sponsoring this organisation’s annual Whale Farewell and Welcome-Home Ceremonies. 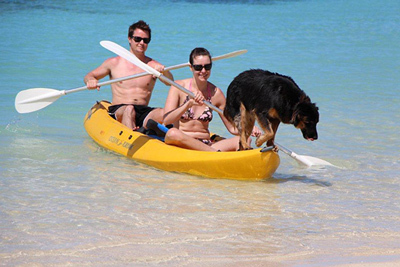 Founded by Cathy Sue, a lifelong animal advocate who travelled to Rarotonga for a holiday in 1994, and after being made aware of the non-existence of veterinary services on the Island, established the Esther Honey Foundation in 1995. The foundation’s main project is to : ‘ Deliver a scientifically-proven permanent and compassionate solution to the over population of South Pacific Island dog and cat population’. Esther honey also provides free veterinary services for all other animals in need. Apart from wishing to make a meaningful contribution to the immediate needs of all animals from a humanitarian point of view, the Muri Beach Club Hotel also understands the importance of containing the dog and cat population to prevent the extinction of numerous local Island bird, animal and reptile species. To this end, Events are specifically created and held at the Hotel to raise funds needed to purchase medication and surgical equipment. Please refer to our blog site as well as the Esther Honey Foundation link for latest updates and progress reports on numerous fundraising projects. 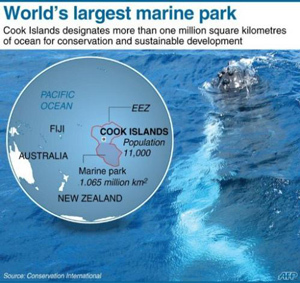 In 2012, the Cook Islands Government launched the Cook Islands Marine Park [CIMP], and in doing so, the commitment of one of the largest areas in history by a single country - for integrated ocean conservation and management. The declaration is for the southern half of the Cook Islands Exclusive Economic Zone; an area of some 1.1 million square kilometres. This reserve is called the Marae Moana [sacred ocean]. The Muri Beach Club Hotel is cognisant of scientific evidence which has identified that since the 1950’s, people have eaten 90% of all large fish, and over half the world’s coral reefs have been destroyed. Yet, less than 2% of the oceans are protected! Marine parks can also benefit the local population by opening up new, alternative and non-destructive opportunities to gain income; for example, countries with coral reefs attract SCUBA divers, thereby yielding economic benefits to the host country - rather than issuing uncontrolled fishing concessions that supply short-term gains, but also potentially cause the long-term destruction of marine life propagation and diversity. The Marae Moana Marine Park will also incorporate a much needed and significant Shark Sanctuary. The Muri Beach Club Hotel has, via consultation with local government officials and representatives, identified specific shortfalls in the funding of certain aspects of the overall project, and contributes to the alleviation of same – by providing the complimentary usage of its function facilities for important meetings and work-shops attended by International experts contributing their expertise from a legal, scientific and practical perspective.